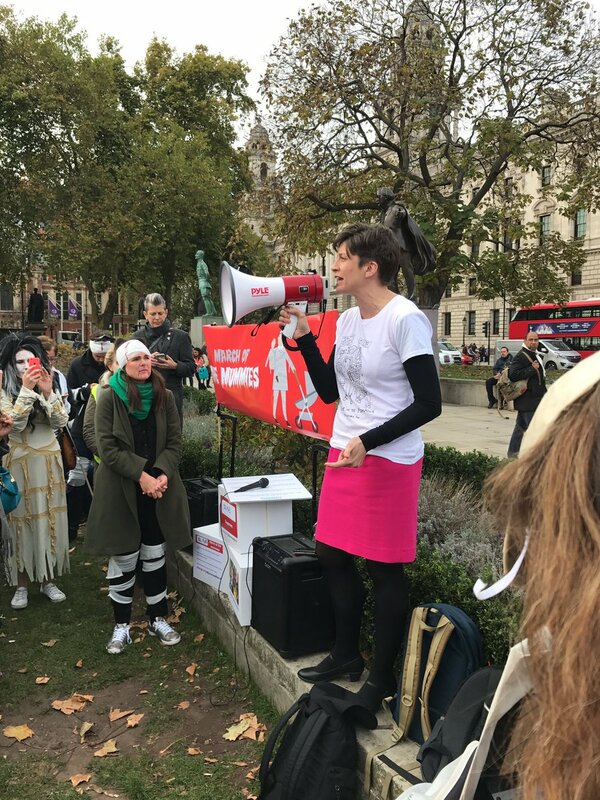 Alison Thewliss, MP for Glasgow Central, has called on the UK Government to end maternity discrimination, and joined the ‘March of the Mummies’ demonstration in London on Tuesday 31 October, an event organised by campaign group Pregnant Then Screwed to bring about positive change for working mothers across the UK. Marches also took place at five other locations across the country. A UK Government-commissioned survey published in 2015 concluded that around 11% of women, having left their job as a result of giving birth, had reported being a victim of workplace discrimination. According to the Equality and Human Rights Commission, if these results were replicated across the country, the cumulative effect would be around 54,000 women being forced out of work each year. The ‘March of the Mummies’ campaign is lobbying the UK Government to increase the time limit for raising a tribunal claim from three months to at least six, and reports that there has been a sharp decline in women employees bringing tribunal claims against their employers since fees for doing so were increased substantially in 2013. “I pay credit to all who joined in today’s ‘March of the Mummies’ campaign, and to the wider work of the group, Pregnant Then Screwed. “Every year thousands of women face the prospect of losing their jobs as a result of pregnancy. This is bad enough, but the fact that the same women then face a serious struggle in accessing justice is simply unacceptable. “Some of the stories that I have heard first-hand from women have been truly shocking, and have ranged from women having their work-patterns changed without their knowledge, to those finding out at short-notice that there is simply no job for them to return to once their maternity has ended.